Making news this week, a student entrepreneur has launched a consumer robot lawyer, a woman is suing Twitter, claiming violation of US anti-terrorism laws and Australasian Law Award nominations opened. UK student Joshua Browder has launched a consumer robot lawyer which can process parking fine appeals. He says the robot is trained to use human emotion so consumers feel like they are talking to a real person. “I realised that the best way to help people would be to create a computer program that could talk to users, generate appeals and answer questions like a human,” he said. The robot is up and running on the UK site, ‘DoNotPay’. Twitter looks to be in strife after a widow to an American man killed in Jordan, claimed that the site has violated US anti-terrorism laws and has launched legal action against the site. The woman said the site knowingly let Islamic State keep official Twitter accounts and use the site’s technology to spread propaganda. “Without Twitter, the explosive growth of ISIS over the last few years into the most-feared terrorist group in the world would not have been possible,” she said in the claim. One academic has said that it might be difficult to prove ‘sufficient nexus’ between the terror group’s use of Twitter and their acts of terror. 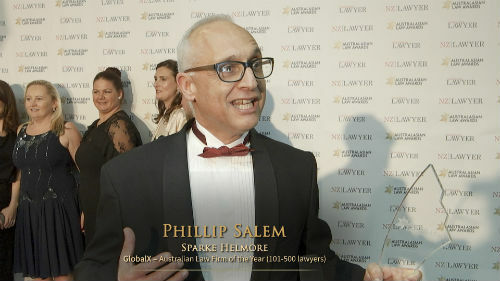 Australasian Lawyer opened submissions for the Australasian Law award nominations, inviting law firms and in-house teams to nominate their lawyers and in-house clients for the prestigious awards. Online nominations will close on 17 February. Despite what some may think, 'robot lawyer' is an oxymoron. A lawyer's function necessarily transcends providing a clerical service.